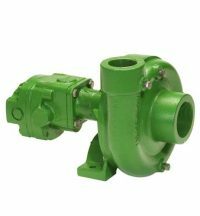 PTO belt driven centrifugal pumps were first introduced by Ace in 1964 and enabled the applicator to mount centrifugal pumps directly on 540 RPM and 1000 RPM tractor PTO shafts. 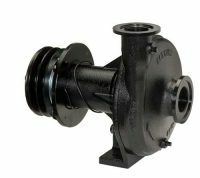 The simple, yet durable design of the PTOC pump has withstood the test of time while many attempts at imitation have come and gone. 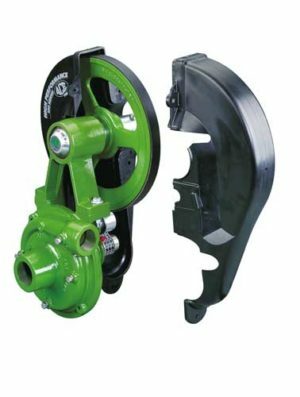 The key to success of the Ace belt driven pump has been the Spring Loaded Idler. The idler maintains proper belt tension which minimizes the load on the pump bearings. More importantly, the idler helps absorb the shock of PTO engagement that can destroy cog belts or gears. Model PTOC belt driven pumps are easy to operate and maintain. Belts can be replaced in the field with minimum downtime and at little cost. 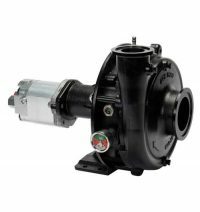 Maintenance features also include sealed ball bearings and a readily replaceable mechanical seal. The belt guard provides complete coverage of the pulleys, shaft and belt. 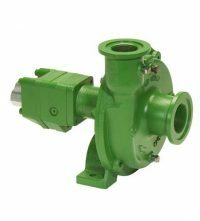 All PTO driven Roundup logo pumps are equipped with a stainless steel shaft and wear ring for excellent corrosion resistance.